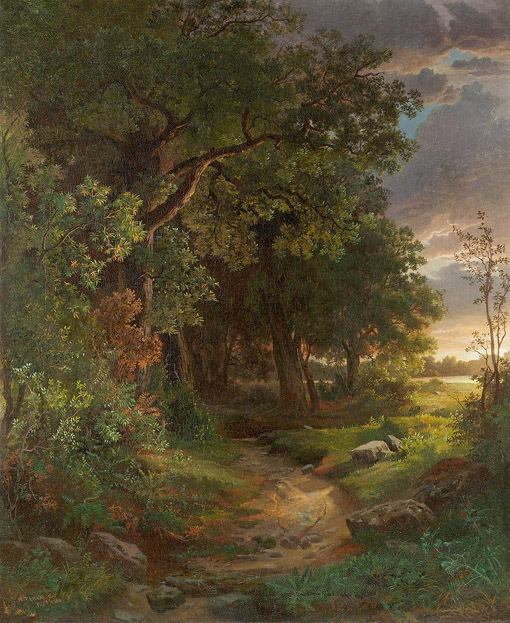 William Trost Richards combined in his works the grandeur, atmosphere and light of the American painter, the interest in the minutiae of nature of the pre-raphaelites, and the precision and technique of the Dusseldorf School. 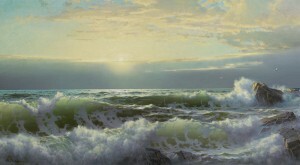 He was a landscape artist for much of his life and is most remembered for his coastal seascapes. 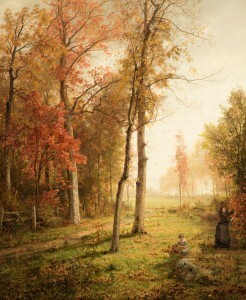 Born in Philadelphia in 1833, Richards began to draw when very young. Despite circumstances that forced him at age 13 to drop out of school and support his family by designing chandeliers and gas fixtures, he studied privately, along with William Stanley Haseltine, under German artist Paul Weber. He may also have attended classes at the Pennsylvania Academy of the Fine Arts. By 1853, Richards felt ready to devote all his time to art. He set out for Europe, probably in the company of his studio-mate, painter Alexander Lawrie, and Haseltine. Traveling through Florence, Rome and Paris, he encountered American artists Hiram Powers, Emanuel Gottlieb Leutze and Albert Bierstadt. He returned from Europe in 1856 with high regard for the uplifting works of Native American landscape artists, such as John F. Kensett and Frederic Edwin Church. In 1856, he married Anna Mattock and honeymooned and sketched at Niagara Falls. They later settled in Germantown, Pennsylvania, on the outskirts of Philadelphia. Richards devoted his attention from then through the Civil War to meticulous, naturalistic landscapes, many with literary themes. He was particularly influenced by an exhibition of the works of pre-Raphaelites painters in Philadelphia in 1858. His paintings of this period are charming; they combine, oddly, an obsessive camera-like precision with grand atmospheric effects. He worked out-of-doors as much as possible, in Pennsylvania, the Adirondacks and the Catskills. At the end of the Civil War, from 1866 to 1867, Richards traveled with his family in Europe. 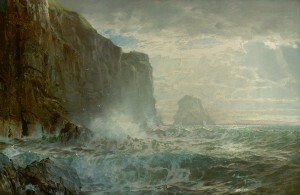 After that, he began to paint his masterful coastal seascapes, which ideally reconcile his love of sharp detail with the larger scale. 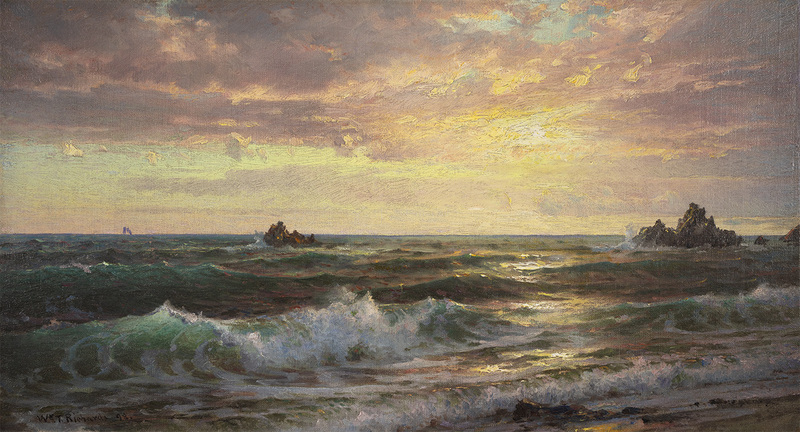 He began in the 1870s to spend the summers and paint in Newport, Rhode Island. He also traveled frequently to England for further subjects and rnarkets. In 1890, he moved permanently to Newport, where he died in 1905.